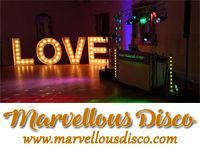 "High Quality And Professional Mobile Disco service"
Marvellous Disco - providing a high quality and professional mobile disco service. My music is extremely varied, and I can cater for any age or music type from the 50's to modern chart, from rock & roll to R&B, from dubstep to Punjabi. 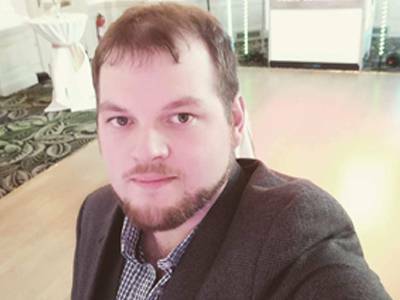 I am a professional "mixing" DJ, which means as well as choosing the best music that will meet your guests tastes, I am able to mix the songs together for seamless transitions between each track played, rather than a stop/start performance. When you book your event with Marvellous Disco, you are given your own secure section of the website where you can keep track of your event, submit any music requests that you may have and give me more information about your event (i.e. times for cake cutting, speeches etc.). Take a moment to look at my testimonials page where you will find 100's of genuine review from past clients - all have agreed to be contacted by email for references, if required. Required by many venues, Marvellous Disco has a current PLI policy with DJGuard / in the amount of £2 million. Also required by many venues, Marvellous Disco has supplied satisfactory evidence of holding current PAT inspections of their equipment dated within the last 12 months. A Method Statement outlining Marvellous Disco&apos;s Health & Safety procedure for setting up disco equipment has been provided. Why do people choose to book Marvellous Disco? "Thank you Simon- we danced all night! " "We had a great day and to finish it off with such great Dj and music was just fantastic!!!!. Thank you Simon!!!!!!" "I am pleased you had a great day, it was lovely to meet you all! " "Simon arrived well ahead of time and set up his equipment in good time before the first guests arrived. He was pleasant to deal with and reacted well to requests from the guests which ensured a full dance floor for most of the evening. A good variety of music was available and played in response to requests. Not the cheapest out there but well worth paying for the professional performance. Would recommend." "Thank you for the kind words. I am pleased you all had a great time. " "A very professional and friendly guy, nothing was too much trouble, did everything we asked and played all songs previously requested, brilliant!" "Thanks for the lovely comment"
"Excellent! Definitely be using his services again"
"Thanks - I am pleased you enjoyed the evening :)"
Marvellous Disco also offers a range of additional party services not directly linked to musical entertainment. Please note that needadisco.com has no editorial control over these images which are stored on flickr.com. If you have any concerns about what you see below, for example potential copyright infringement or unsuitable content, you should take this up with Marvellous Disco directly using the Contact section below, or else you may alert flickr.com directly quoting "set number 72157632641239200". Professional Mixing DJ / Polite / Crowd Pleaser! If you are contacting Marvellous Disco about an event, it's always a good idea to include the DATE, LOCATION, EVENT TYPE, AGE GROUP and TIMINGS to speed things up!